I have been a Stained Glass designer and creator for 30 years. I currently live and work out of my gallery on the Dargaville river front. 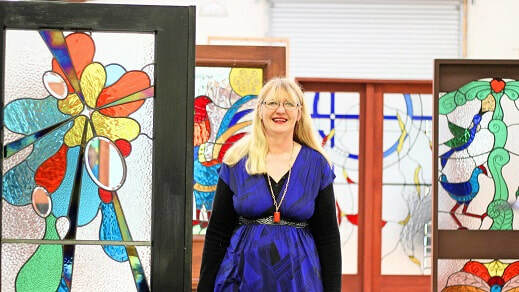 Even after making thousands of genuine hand cut stained glass windows in my Australian galleries and here, I still have ideas for thousands more! ​I really enjoy my client’s consultation time and creating custom artworks for them. In my gallery I also have a wide range of windows and designs that I continue to expand on. See my web page to get my full gallery story and find out how my stained glass for fitting to your home or free hanging for decor is designed and made. Join my email newsletter for my latest windows, gallery openings and events and lessons.